Hangs out with Hugh at 6th Street. 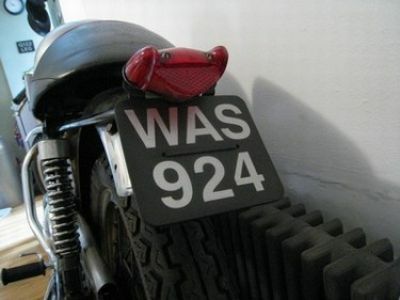 Not currently registered. 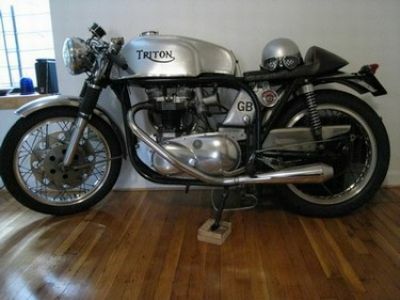 1959 TRITON CAFE RACER. 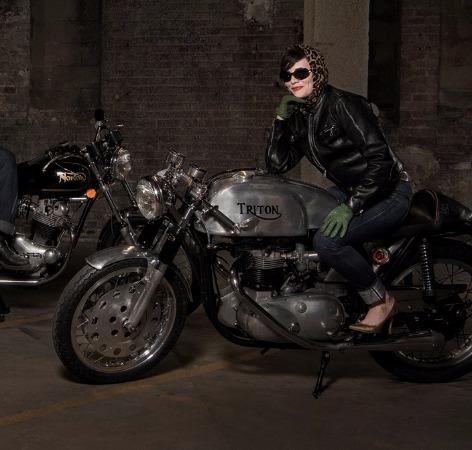 Triton is an amalgamation of a Pre-Unit Triumph Engine and a Norton Featherbed Frame - hence Tri (from Triumph) and Ton (from Norton). 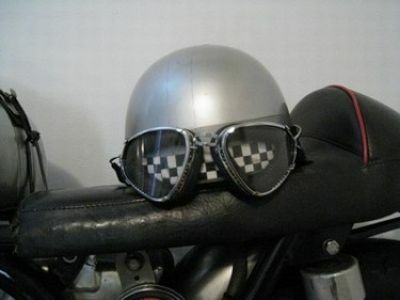 They were primarily seen on the racetracks in the 1960s but were also popular on the streets of London amongst Rockers. 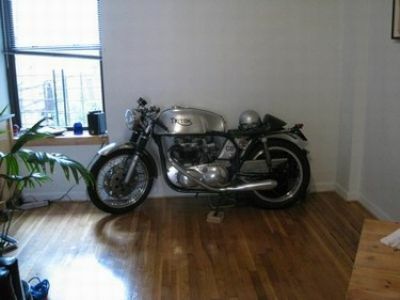 I have owned the bike for the past ten years and recently shipped it to Brooklyn from London. 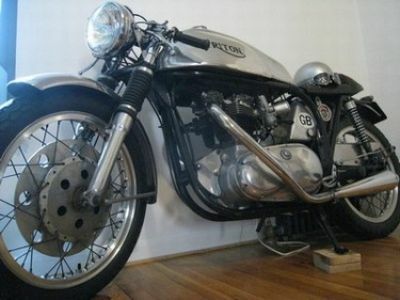 Bike Specs: 750cc Triumph Engine, Twin Amal Carburetors, 5 Gallon Aluminum Tank, Single Hump seat, Clip on bars. 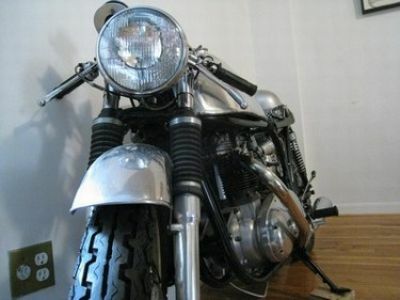 The bike currently has the UK registration plate and runs well.